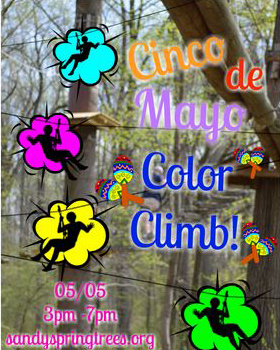 Celebrate Cinco de Mayo at a color climb. Wear a white shirt (some for sale for $5). Climb courses to hear mariachi music while getting covered in colored powder. Powder is washable & non-toxic.